Frederick James Hackman (1856-1926) - exhibited circa 1908. Address: 8 Howard Rd, Walthamstow, London. 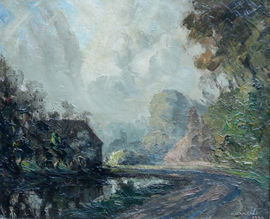 Painter of landscapes in oils, exhibited at the London Salon (5).